January might be cold, but that doesn’t keep folks who love sheep from gathering at the Border Inn on January 18 and 19. This event is one-of-a-kind, with sheepherders, sheep owners, filmmakers, poets, musicians, and more gathering. The event starts Friday night with an invitational dinner followed by my favorite event of the Gathering: open-mic night. Listen to an array of stories, poems, and music of recent and distant memories about sheep. On Saturday, start your day with a sourdough pancake breakfast, a film screening, a performance by magnificent cowboy poet Waddie Mitchell, a family style Basque dinner (reservations required), and music by the Baker Front Porch Pickers. The dinner is quite an event, and I wholeheartedly recommend it (and plan on attending!). For more information, check out the Great Basin Heritage Area Partnership website. 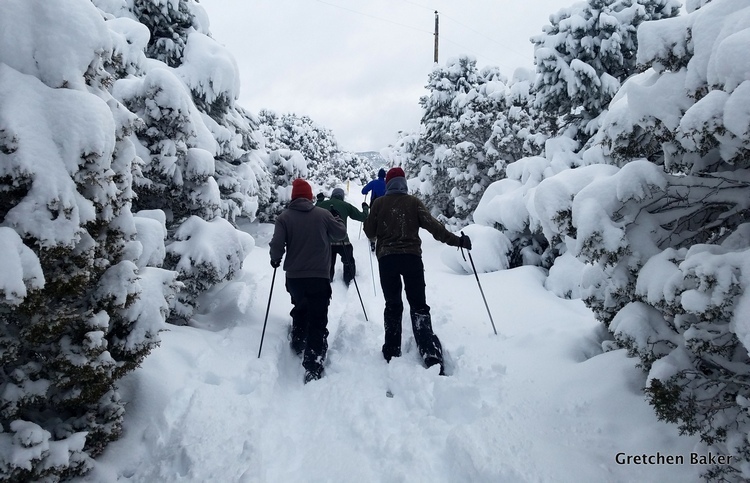 Happening the same weekend, on Saturday, January 19 at 9 am, is the Ely Birkebeiner, a cross-country ski race at Ward Mountain. Ski rentals are available at Sportsworld in Ely. This year the event has been expanded to include a fat tire mountain bike race. If the weather isn’t snowy enough (in 2018 the skies dumped a huge amount of snow the night before! ), then a trail run/mountain bike race will occur. This race is always a great excuse to get outdoors with like-minded people, and we make the drive from Baker every year. The Fire and Ice Festival has had problems with warm weather cancelling the snow sculpture portion on Cave Lake, so this year the whole festival has been re-imagined with many more events that can go on snow or no-snow. Following the Ely Birkebeiner is a water volleyball tournament, dart tournament, fireworks train (fireworks are shot off the train! ), bonfire, karaoke, billiards tournament, and live music. On Sunday at Cave Lake the ice skating rink and sledding hill open at 10 am, followed by ice horseshoes and ice bowling at 11 am. Fireworks will be shot off at 6 pm. A bounce house and face painting will also be offered. The expanded Fire and Ice Festival is still in development, so check the event page for the latest information. 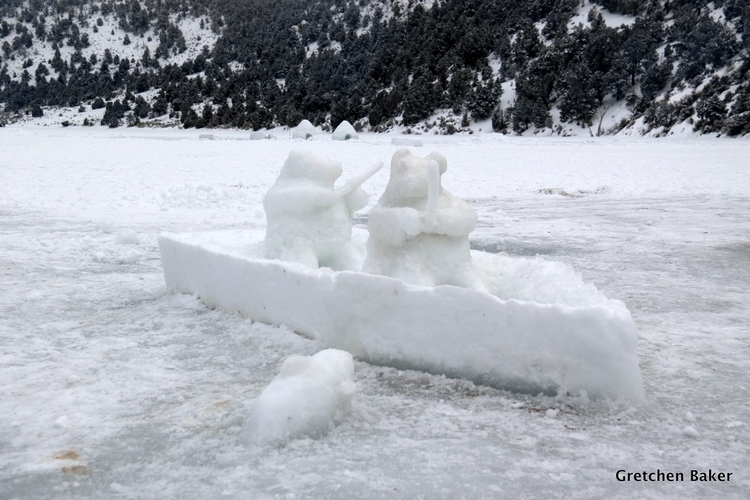 And if there’s enough snow, there also will be snow sculpting on Cave Lake. The exciting long weekend continues with a full lunar eclipse on January 20. In most of Nevada, the full lunar eclipse will begin at approximately 8:40 pm and last an hour. Last year in January, we were delighted to observe the blood moon super eclipse. 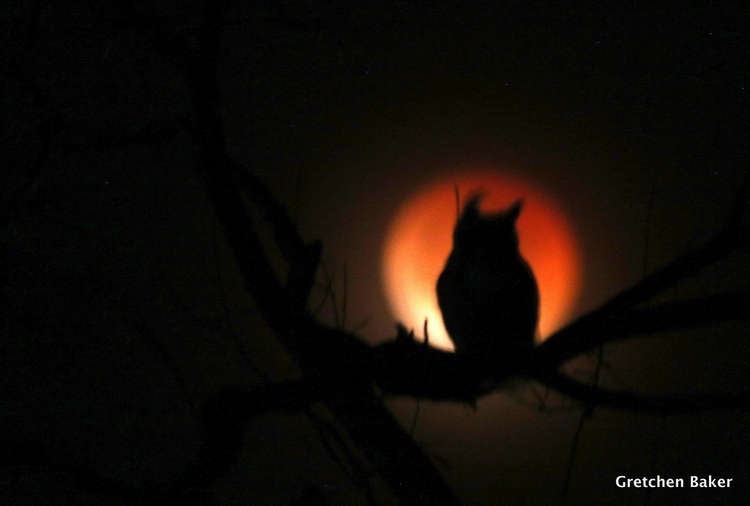 I was dreaming about taking a photo of an owl in front of the eclipse, and dragged myself out of bed last year and actually was able to frame an owl with the moon in the background. I may never be able to beat that, but you can bet that I’ll try! Visiting eastern Nevada often includes a visit to Great Basin National Park, but while the partial government shutdown is in effect, don’t expect much. The visitor center is closed, no tours of Lehman Caves are offered, roads aren’t being plowed (except to those living in park housing), and public bathrooms are not being maintained. Once the government reopens, the full winter services will resume.